Are you looking for a high quality computerized sewing machine that is programmable? Do you want a budget friendly option that won’t force you to compromise on the quality of the features that you’ll receive? 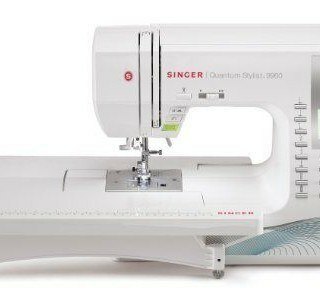 The Singer Stylist is an award-winning sewing machine that offers you an amazing amount of versatility for an equally amazing price. For less than $200 on Amazon right now, you’ll be able to get a sewing machine with 100 built-in stitches and 10 presser feet so you can get all of your quilting, sewing, and crafting chores done quickly. What could the Singer Stylist do for you? Let’s take a look! there are 7 perfectly sized buttonholes that are fully automatic with this system that will help you save even more time. 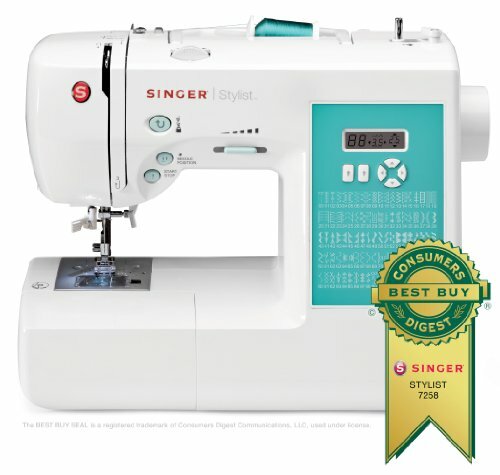 With automatic tension control that works with you to make sure you have a stable stitch on every type of fabric and programmable features that let you start, stop, and control the needle location, the Singer Stylist has more features than models with higher price points and provides a better quality outcome. That’s why it is one of the best sewing machines that is available today! Is There an Advantage To Using the Singer Stylist? How easy is it to use the Singer Stylist? You can have it out of the box and sewing in under 5 minutes if you know what you’re doing! There’s also the automatic bobbin winding system that won’t move the needle up and down during the process so you don’t get a stab or two trying to get that job done. The bobbin will automatically stop turning when it is complete as well so you won’t end up with the mess of a bobbin that has been overfilled. We did notice that the automatic tension for the top thread is run by a solitary spring. If that spring wears out or becomes out of place, your tension disappears and that can create a nest of a mess. You’ll want to watch out for that issue if you choose this machine, but otherwise the Singer Stylist has a lot of good stuff working for it. If you need an affordable sewing machine, this award-winning model should be high up on your list! Click here to look at pricing on Amazon and buy theSinger Stylist Computerized Sewing Machine.